"The right mixture for getting people to change behaviors around SEO"
"We used to be what SEOinhouse.com calls an SEO skater, a company with growing SEO traffic and revenue, but an SEO team that chased projects and put out fires -- because SEO was often added onto finished products instead of being integrated throughout the product development lifecycle. We knew SEO could be growing at a faster pace -- but we had to get the entire organization around the SEO program, particularly the technical execution. 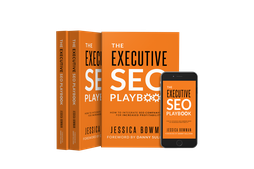 After attending Jessica Bowman’s Enterprise-level In-house SEO Exchange event, and engaging SEOinhouse.com for an SEO audit, we learned what a common challenge this is, especially at an enterprise-level organization like Cars.com. And we knew Jessica’s training style was right for our teams. Her expertise in developing a thorough enterprise SEO training that non-SEO Teams could understand and implement, combined with a gentle delivery of tough love… was the right mixture for getting people to change behaviors around SEO. 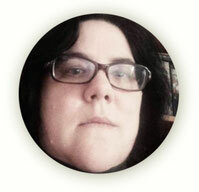 When Jessica’s SEO training went online, we knew it would be a needle-mover. After enrolling over 100 employees, we were pleasantly surprised at how much of a needle-mover it became. we were pleasantly surprised at how much of a needle-mover it became. results better than we could have ever imagined. WITHIN HOURS OF LAUNCHING the Technical SEO Course, developers started walking over to the SEO Team’s desks asking for input on things they were coding. DEVELOPERS USED NEW, AND NOW UNIVERSALLY UNDERSTOOD VOCABULARY of the course, down to “I have a red siren issue”. Thanks to the course, Red sirens (used throughout the course and accompanying toolkits to identify when non-SEO teams should not make a decision without the SEO team’s input) were being addressed at the right time, instead of causing SEO fires down the line. PEOPLE STARTED QUOTING SEO BEST PRACTICES from the training during meetings as they discussed SEO for their projects. CONVERSATIONS BECAME EASIER & SHORTER. People knew the SEO jargon and definitions, so we no longer spend the first 10 minutes explaining what things are and how they’re used by search engines. PEOPLE ARE NOW PROACTIVE ABOUT SEO. We now spend far less time talking about how to hurt SEO the least based on a timeline, budget, etc. because SEO is considered from the beginning. 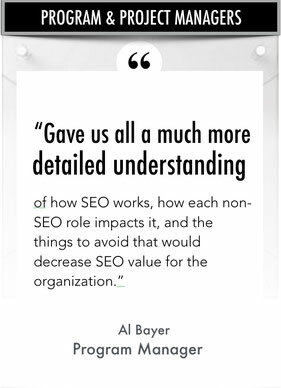 Prior to the course people came to the SEO Team about things they didn’t really care about, now they come before touching things they do care about. THE COURSE BECAME AN SEO TOOLSET for the non-SEO people in our organization. yet he finished much of the course – and funded an unlimited site license! 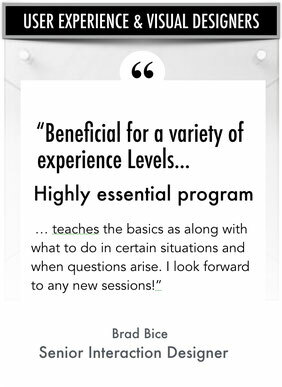 IT WORKED FOR US OUT OF THE BOX, AND WE HAD SOME RESERVATIONS before deciding to purchase the course (would it work, should we do it in-house, etc.). We expected to feel the need for customized modules, but at the end of the day the content in the course was thorough enough that we were able to launch and fly. AT REGULAR INTERVALS, WE HAD PRIVATE Q&A CALLS with SEOinhouse.com and everyone enrolled in the course. The conversations got as geeky (or not) as product managers and developers wanted to take it. Having the third party expert who could easily speak to technical and non-technical teams was powerful and it worked. We were on the calls to give unique perspectives and resolve limitations in our specific environment. and showed up for the Q&A Calls. The return on energy was through the roof. The course is designed for busy, non-SEO roles. It had to be engaging and consumable in small chunks. It delivered on that. THE COMPLETION RATES WERE BETTER THAN EXPECTED & IT WENT VIRAL—people asked to be involved unprompted because of what others throughout the organization were saying about the content. WE INITIALLY ENROLLED 25 PEOPLE, BUT ENDED UP PURCHASING A SITE LICENSE. This allowed us to enroll as many people as we wanted. Not having to monitor the license count meant we could give access to anyone and everyone… and we did. We enrolled 100+ people. SEO just happens, at the right time, almost every time. When SEO is skipped, it’s a strategic decision and not because it was skipped or omitted without the SEO team’s involvement. Life was very different for the SEO team. Conversations are now more effective. We get more done in less time. Developers see us as partners, reaching out to us when SEO requirements are not provided. We chose SEOinhouse.com because they are specifically dedicated to organizational execution and performance. We knew the course would not just spill out SEO best practices, but also focus on HOW to work with the SEO team in our enterprise-environment using a language appropriate for non-SEO teams. Jessica’s training style hits the ins-and-outs of technical enterprise-level SEO that development needs to know, it also lasered in on how, why and when, each team needs to collaborate with the SEO team. 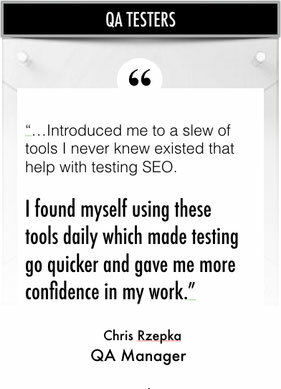 This is SEOinhouse.com’s specialty and it was brought into the SEO training content for a seamless integration of how-to technical and operational improvements. In a large enterprise environment, you can’t always do what is best for SEO. This course addresses that. Jessica understands the realities and trade-offs needed in an enterprise environment and has weaved it into the course messaging. We loved that the course acknowledges that sometimes you will have to make something SEO unfriendly for business needs. This makes the content more palatable and less adversarial---and aligns SEO as a partner with product managers and other roles who are accustomed to making similar trade-offs for business decisions. Plus, now they are allowing for more informed SEO trade-off decisions, instead of unintentional SEO blunders. Today the SEO team is tighter with roles such as development and user experience, and that is a result of what everyone has learned in this course. It validated what the SEO team was saying, and said things in a different way… in a way that sunk in and stuck. We’re now viewed as strategic partners during the planning and strategizing process of the strategy and design phases of a project. We didn’t expect the buy-in we got from this course, and we didn’t expect people to take it to heart as much as they did. We now do very little scrambling to make sure everything is SEO compliant, because we’re now embedded in the SEO-savvy product teams. And we no longer have to make the case for SEO in product releases. In fact, some product teams have SEO as a central mission. Best of all, the SEO team itself has tripled in size! I’m pretty sure this wouldn’t have happened without having so many involved in this course. SEO was already driving a major share of our traffic, but we knew it could and should be better. The Technical SEO Course connected the dots from SEO subject matter expertise to engaged and innovative product teams to sustained SEO investment from the C Level. And it’s working – we recently completed our fastest-growing quarter of SEO traffic in years! Technical SEO Course got going. Hands down, this was the best thing we have ever done for SEO and I would highly recommend any SEO team bring in this course. It fixes the challenges that exist between most SEO, product management and development teams."